Miss Isabelle attends a Catholic school and yesterday was the first day of lent, she came home and excitedly said ..
Mum! 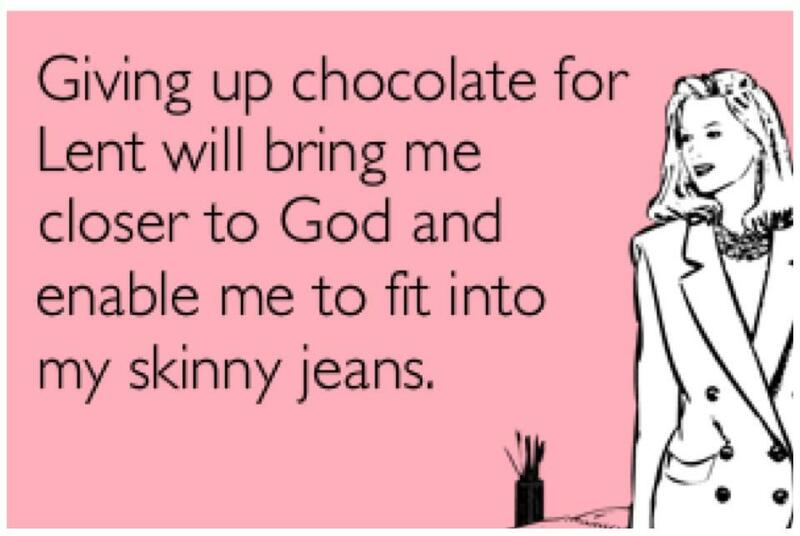 Guess what I’m giving up for lent? Instead she went with “Not listening” – she will now listen to everything we (parents/grandparents/teachers) say. Which I soon realised meant she would listen to us but it didn’t necessarily mean she would respond or do as asked. “What are you giving up for lent Mum? I think you should give up asking Dad to do everything for you” ..
Touche’ child, touche’ however until James brushes up on his mind reading skills that’s not going to happen. I went with bread .. but according to Miss Isabelle A) I don’t eat bread (although that should read I rarely eat bread) and B) that wouldn’t make me a better person. I tentatively asked “Baby you do know that a skinny person isn’t any better than a fat person – don’t you?” she matter of factly said “No one wants to be fat Mum, I don’t want to be fat. Mrs *** said that she doesn’t want to be fat, because that will make her a better person”. Argh .. you would think someone paid to work with kids would think before they speak so flippantly about weight. James and I have worked so hard on teaching our kids to be in awe of what their bodies can do. How they can run fast, jump high and climb. How their bodies are strong and capable. Never have I used the “fat” word around my kids. They know that we exercise because it’s fun and it makes us fit and strong. We’ve also taught them that they can eat chocolate (because we exercise) but it’s not healthy for us to eat it all the time. I’m glad I didn’t go with giving up “getting Dad to do everything for me” for lent because I’ve asked him to have a chat with the Head Mistress. He’s much more diplomatic than I ..
PS – I’m giving up buying shoes for lent, those of you who know me in real life, realise that’s a way bigger deal for me than giving up dessert!